A wholly-owned unit of Japan’s Universal Enterainment Corp is to acquire an existing Philippine-listed company to place on the Manila bourse shares in the casino operations of the Okada Manila casino resort (pictured). The Universal Entertainment unit, Tiger Resort Asia Ltd, a Hong Kong-registered company, plans to pay PHP646.5 million (US$12 million) for 66.6 percent of the voting rights in the already-listed Asiabest Group International Inc. The latter, says its website, is an investment holding firm that previously has been chiefly involved in mining. According to a Tuesday announcement by Universal Entertainment, lodged with Jasdaq, the agreement was struck on Monday, and the execution date is scheduled for November 12. “The purpose of acquiring the above-mentioned shares is to locally list the shares of casino operating company in the Philippines,” stated Universal Entertainment. Asiabest Group also confirmed the deal in its own statement to the Philippine Stock Exchange on Tuesday. The company said additionally that Tiger Resort Asia would conduct a tender offer for the remaining shares of Asiabest Group, expected to be completed prior to the closing of the block sale. The Philippine Amusement and Gaming Corp (Pagcor), the country’s gaming regulator, would have to approve the transaction, reported Reuters news agency. “Any application by our licensee to undergo public listing will require approval of Pagcor but we have not received any application yet from Tiger,” Andrea Domingo, the head of the gaming regulator, told the media outlet. In August Universal Entertainment reiterated a pledge made in May to take the operator of Okada Manila public. It gave little detail, saying at the time that the flotation was likely to happen next year. The control of Tiger Resort Asia is being contested directly in a Philippine court case, and indirectly via Hong Kong legal action. A suit from Kazuo Okada, founder of Universal Entertainment, has named Tiger Resort Asia as a defendant in a case seeking to nullify the businessman’s removal as shareholder, director and officer of Tiger Resort, Leisure and Entertainment Inc. The latter is the promoter of Okada Manila, and is itself a unit of Universal Entertainment. Takako Okada and Kenshi Asano, named by Universal Entertainment in its Tuesday filing as directors of Tiger Resort Asia, are also named as defendants in Mr Okada’s case lodged with the Regional Trial Court, Parañaque City. A press statement sent by representatives of Kazuo Okada regarding the Philippine lawsuit said he had “not been consulted” about a flotation for Okada Manila. Mr Okada recently told GGRAsia in an interview of the legal action he is pursuing in Hong Kong, to wrest back control of Hong Kong-registered Okada Holdings Ltd, a private company controlling Universal Entertainment. 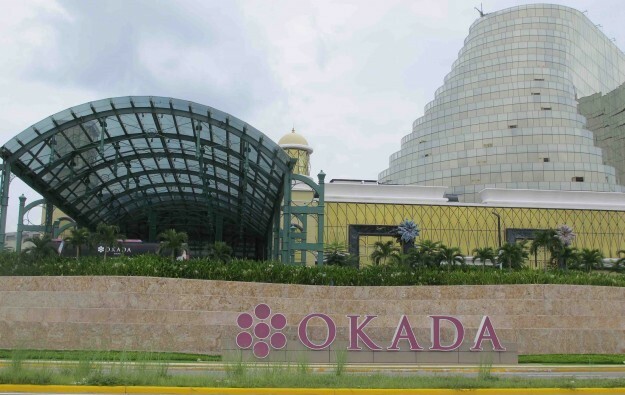 Sales at the Okada Manila casino resort rose 30.2 percent sequentially in the second quarter ending June 30, to JPY12.74 billion (US$114.9 million) compared to nearly JPY8.90 billion in the first quarter, said Universal Entertainment in an August filing.